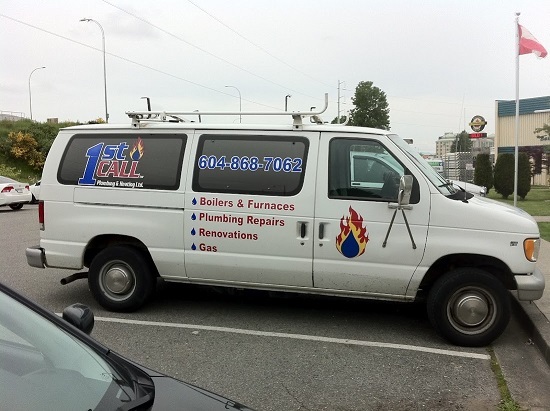 1st Call Plumbing & Heating is a locally owned and operated company, we have been serving Richmond and Vancouver since 1994. Our licenced, professional technicians with years of experience are ready to help you with any installation, repair, or service your home or business requires. We take great pride in our work and are licenced, insured, and bonded. We warranty all labour and materials we supply for a minimum of one year. Just mention this coupon for $10 off your first service call!